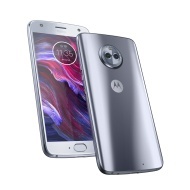 alaTest has collected and analyzed 162 reviews of Motorola Moto X4 / Motorola Moto X (2017) / Motorola Moto X (4th gen.). The average rating for this product is 4.3/5, compared to an average rating of 4.1/5 for other Cell phones for all reviews. Reviewers really like the usability and size. The price and design are also mentioned favorably. There are some less positive reviews about the screen. Views are divided on the camera. We analyzed user and expert ratings, product age and more factors. Compared to other Cell phones the Motorola Moto X4 / Motorola Moto X (2017) / Motorola Moto X (4th gen.) is awarded an overall alaScore™ of 93/100 = Excellent quality. With many midtier phones having varying reliability, the water-resistant and inexpensive Moto X4 is a lesson on how to do it right. The Moto X4 is water-resistant, has NFC, expandable memory and dual rear cameras. Motorola's variant comes with tons of useful software tricks. It's a worthy alternative to the Moto G6 Play. The phone's camera is slow to launch and snap photos. Its wide-angle camera warps straight lines too severely. Though it can be slow at times, the Motorola Moto X4 hits all the notes for the right price, making it an even better deal now than when it launched. A good middle of the road smartphone.